Have you created a QR code for your website? Or are you wondering what those funny black and white squares are used for? A QR code is a two dimensional scannable graphic. The graphic can be scanned and read by scanners on mobile devices. Data can be encoded within the QR code. Examples of types of information are website URLs, links to special offers, coupons or contact information. A QR code on a resume could link to a LinkedIn profile or an online resume. Scanning the QR code can open a specific web page. This bypasses the need to type in a long or complex string of characters in a URL. There are many companies that will generate QR codes. Some have restrictions like expiration dates, links to their site, etc. Enter “QR code generator in your favorite Internet search engine. 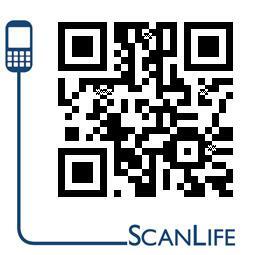 We created our QR code with Scanlife. Here is the code for our “CyberLife Tutors website. Our website URL is embedded in the QR code graphic. Use a scanner application on your smart phone to scan this graphic and your phone browser opens up our website. Need assistance getting your QR codes set up? Call us at 414.604.6645 to do it for you.